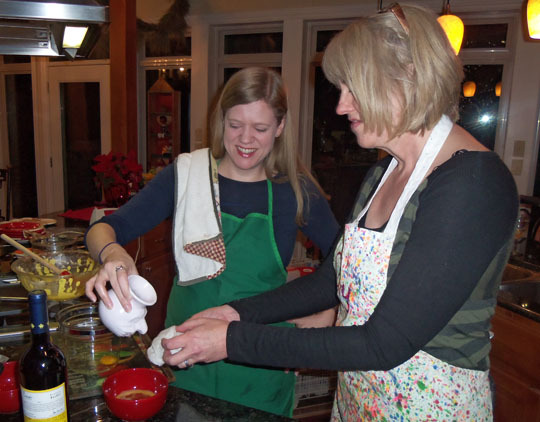 We got on our aprons and set to work! Mama started zesting and juicing, I began mixing the batter. 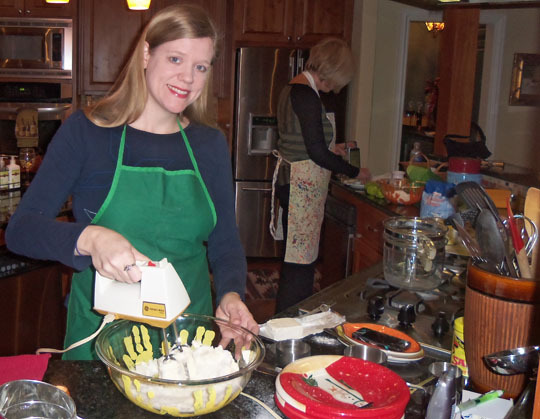 I missed my stand mixer, but I loved having extra counter space and a "sous chef." When it was time to separate the eggs, Mama had a surprise for me. Thank you to Kent of Follette Pottery for this amusingly disgusting gift to my mother, a nose (and ear and throat) doctor. 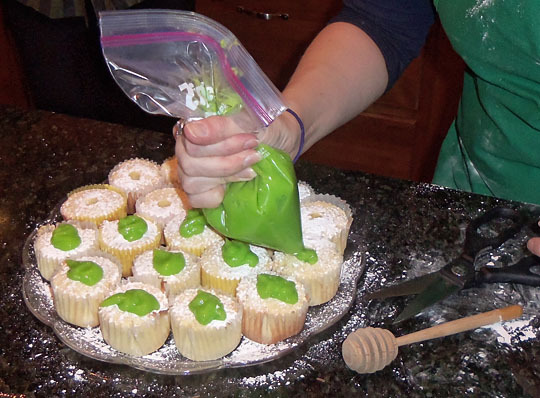 Martha Stewart’s recipe instructs inserting a pastry tip into the cupcake while piping to get curd in there. I didn’t have a pastry bag or tips, so I settled for a plastic baggy. Since that wasn’t going to force any curd into the cupcake itself, I poked a hole about halfway in using the rounded end of a wooden honey dipper, which seemed about the right size (you might use a wooden spoon or similar implement). 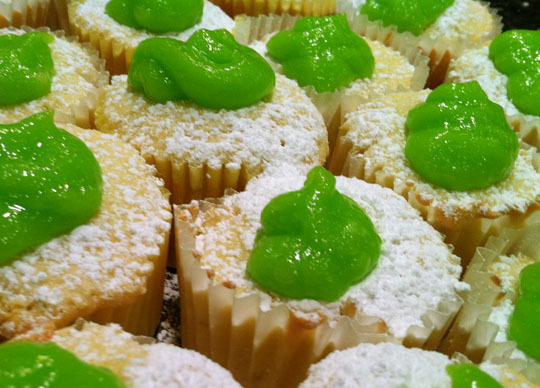 I dusted the cupcakes with powdered sugar, then piped lime curd into the holes, pooling more on the tops. They tasted sweet and tart with a lovely lime flavor—delicate in the cake, strong in the curd. Ready to try our creations! Below are my modified ingredients to make these lime beauties. I halved the original recipe, which makes a huge amount! 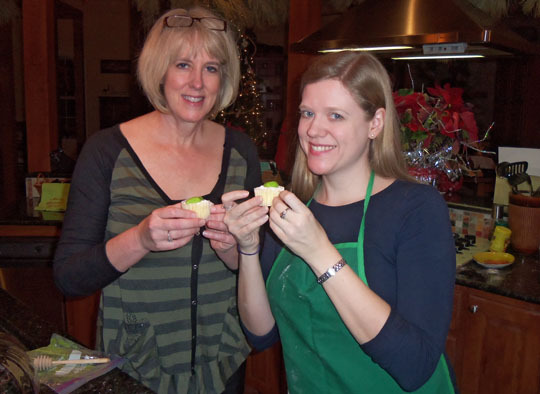 Find the full recipe (with lemons) in Martha Stewart’s cupcake cookbook, it isn’t available on her website. 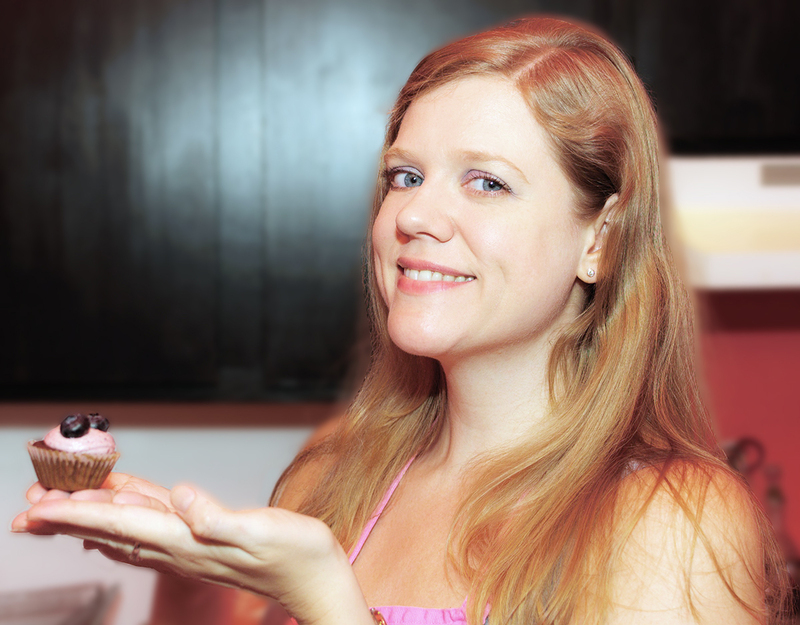 For the recipe online, see 52 Cupcakes or iVillage. Love it!!! 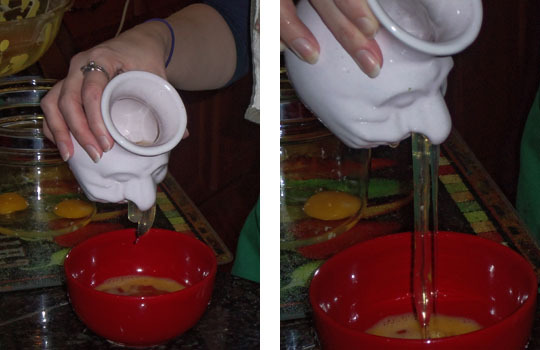 I love the egg yoke separator, so funny.